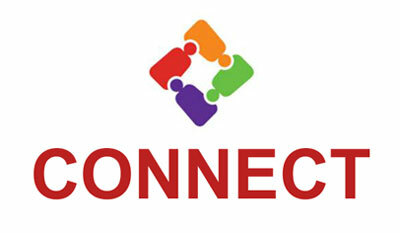 Each year NLGJA – The Association of LGBT Journalists – chooses 12 students from across the country to participate in Connect, the student journalism training project, which provides real-world experience to undergraduate and graduate students who are considering a career in journalism. Two of the students selected to attend Connect will also be the recipients of the Leroy F. Aarons and the Kay Longcope scholarships. Applications for the Connect Student Journalism Project, the Aarons Scholarship and the Longcope Scholarship are now available. All three applications are due May 31, 2016. Students participating in the project will produce portfolio-quality journalism, network with media professionals and receive feedback on their resumes and career plans. They will work with mentors from organizations including NPR, the Associated Press and The New York Times to report, edit, photograph, design and produce the news of NLGJA’s National Convention and the host city, while helping to ensure fair and accurate coverage of LGBT issues at the event. Examples of projects by last year’s students can been seen at nlgjaconnect.org. Applicants do not need to be a member of NLGJA or a member of the LGBT community to apply. NLGJA accepts applicants from all disciplines, departments and majors. Apply for Connect: Student Journalism Project! The Leroy F. Aarons and the Kay Longcope scholarships are awarded annually to students who demonstrate a commitment to providing fair and accurate coverage of the lesbian, gay, bisexual and transgender (LGBT) community. These annual scholarships are presented in honor of two prominent journalists. The Aarons scholarship was established in 2005 to honor NLGJA founder Leroy Aarons and to continue his work of fostering fair and accurate coverage of LGBT issues from within the news industry. Apply for the Aarons Scholarship today! The Longcope scholarship was established in 2008 in memory of Boston Globe journalist Kay Longcope, who co-founded the Texas Triangle, a LGBT weekly newspaper that would eventually grow to become the major source for all things gay in Texas, covering the gamut from news to art, relationships to music reviews. This scholarship has been awarded twice before and will continue to fund a LGBT student of color who plans a career in journalism. Applicants must be an LGBT individual of color planning to pursue a career in journalism and be able to demonstrate their passion and commitment to the profession. Selection will be based on journalistic and scholastic ability. Applicants also must demonstrate an awareness of the issues facing the LGBT community and the importance of fair and accurate news coverage. Apply for the Longcope Scholarship today!